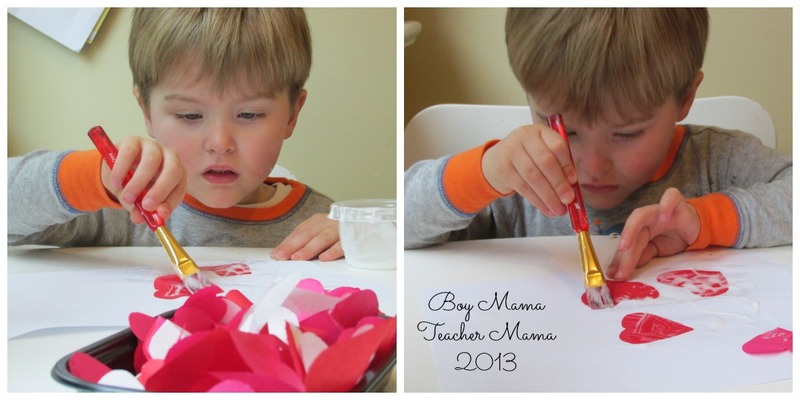 I have made this Valentine Heart Banner every year with my boys. It is so simple and so pretty. 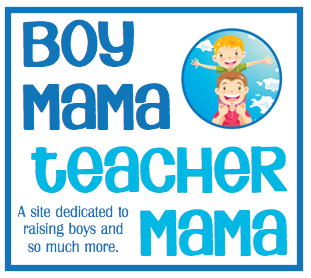 AND it looks great in your home or your classroom. Cut white paper to 5 inches by 11 inches. Glue two sheets together to create a white banner. You will need one set for each child. 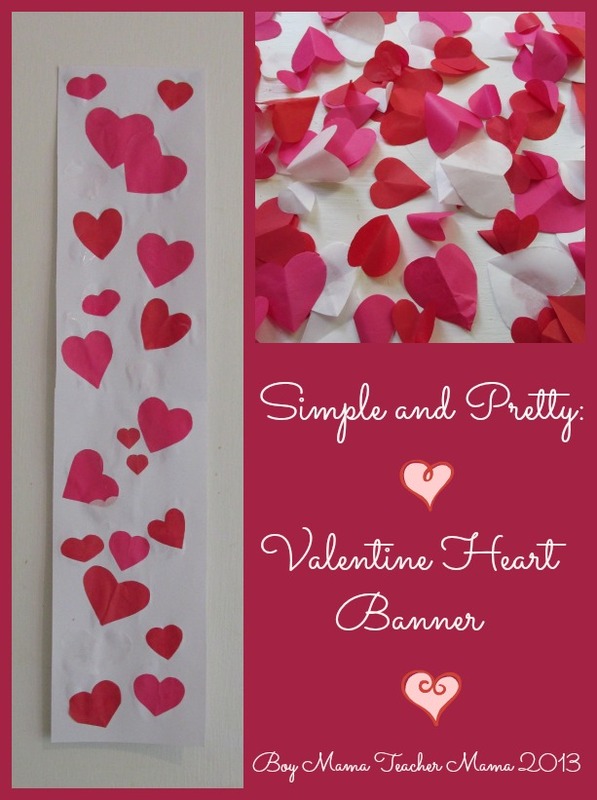 Give each child a white banner, glue, paint brush and the hearts. 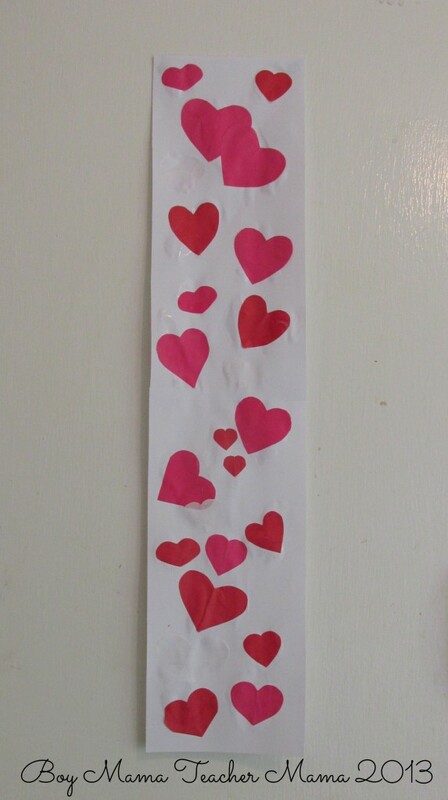 Allow them to decorate the banner with the hearts to their liking. 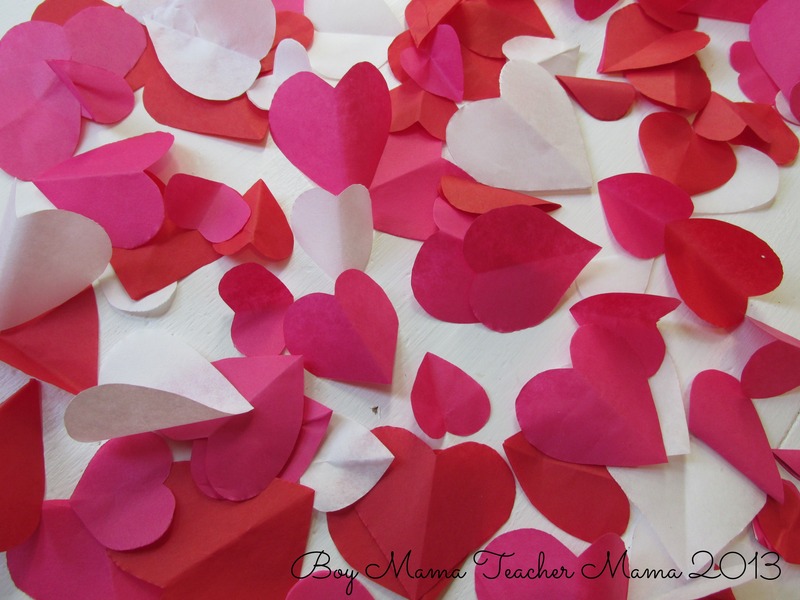 Have them apply glue to the paper with the brush and then put the hearts on the glue. This prevents ripping and bleeding. It turned out so pretty! What a great craft for the kids and an awesome decoration for the holiday! Thanks for sharing on We Made That! This is so cute 🙂 I can do this with Aarya 🙂 What are your Valentines day book recommendations for boys?